This is fresh and cleansing recipe is the ideal dish for warm summer nights. Cook’s tip: This strawberry salsa is equally delicious served as bruschetta (on lightly oiled and grilled sliced foccacia) or as an accompaniment to grilled chicken. Combine all salsa ingredients and set aside. 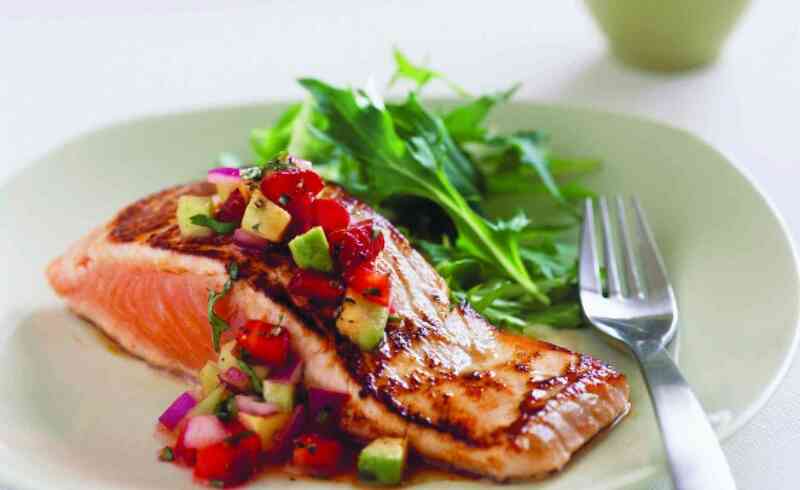 To prepare salmon, combine honey, olive oil, garlic, ginger and salt in a screw top jar; shake well and brush over salmon. Spray a flat barbecue hot-plate or grill-plate with non-stick cooking spray. Heat hot-plate and cook salmon, basting with marinade during cooking. Serve with salsa.